Hello, lovely! 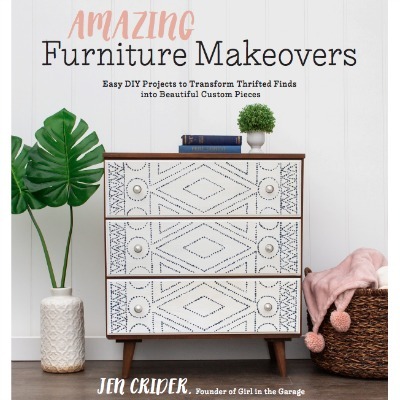 I have been working on lots of brand new makeovers for my upcoming book, and every time I finish one I wish so badly that I could share it with you!! 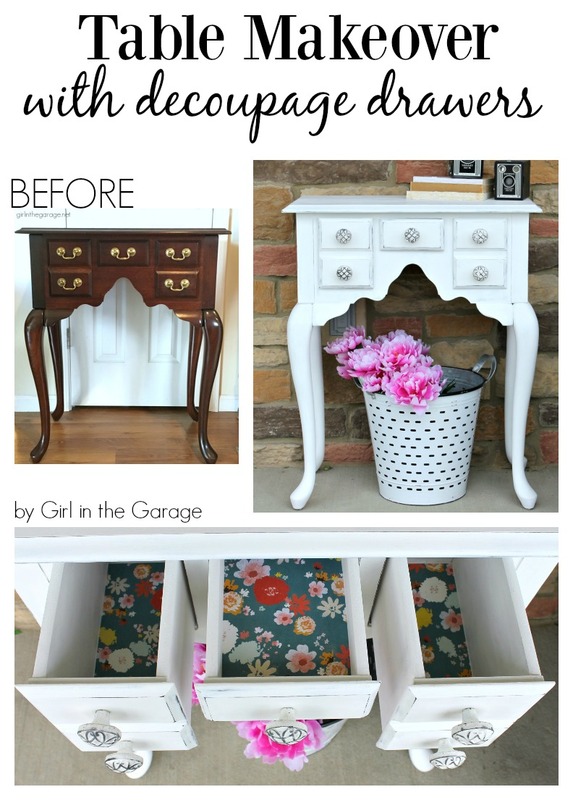 For now I’m sharing this console table makeover that already sold – I think I paid about $20 for it at a yard sale. Seriously, who could resist those legs?? 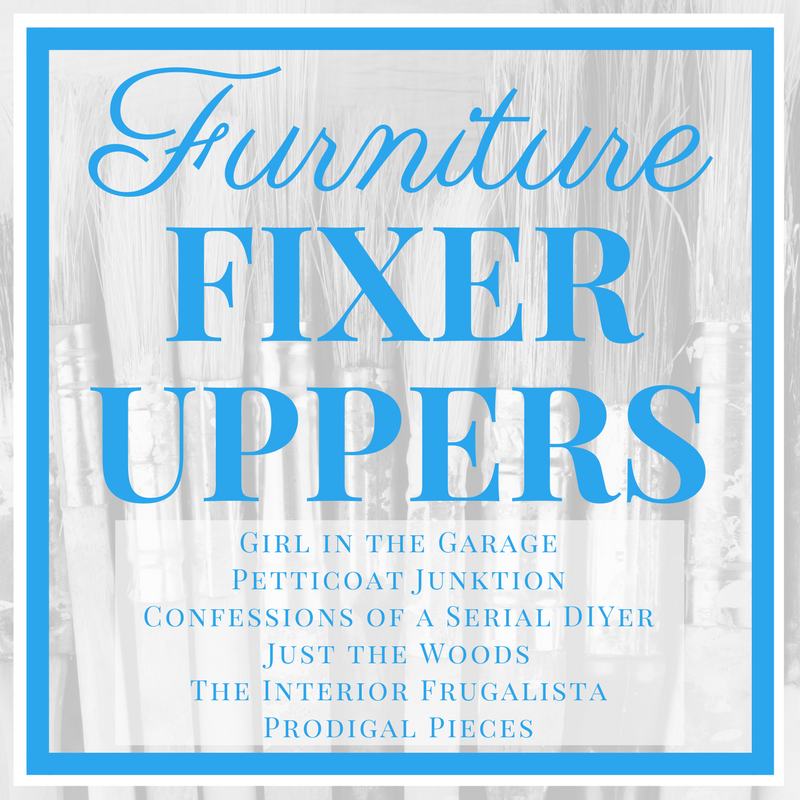 ** Today is Furniture Fixer Uppers day with my creative blogging friends, so be sure to stick around and see their makeovers at the bottom of this post! 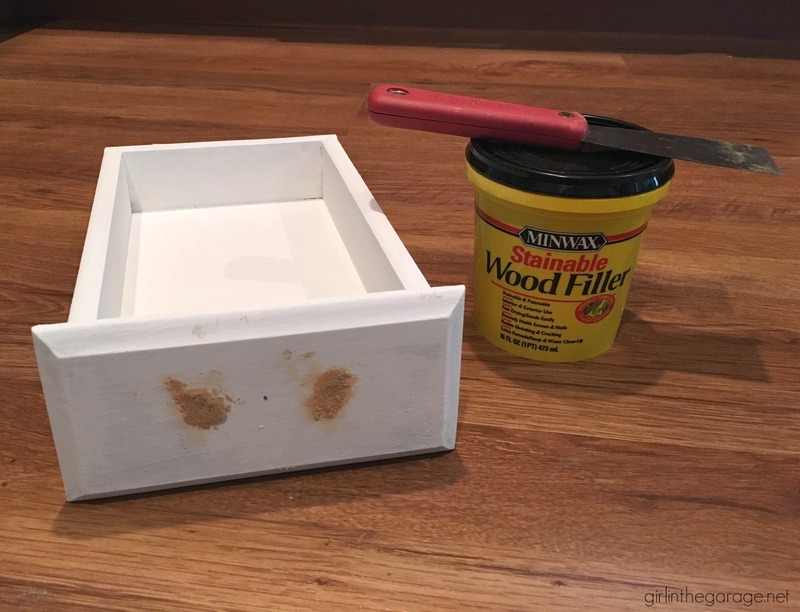 I don’t know how I always end up with these pieces with ink stained drawers… even with primer, the ink often peeks through! The best solution for that is to cover it up with pretty paper (which you’ll see a little further down). 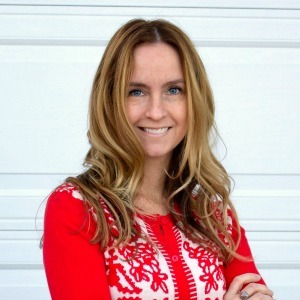 * This post contains some affiliate links so you can easily find the products I use and recommend. 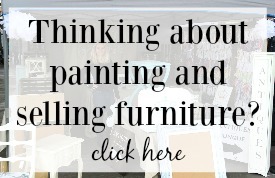 Learn about all my favorite DIY products and tools Here. 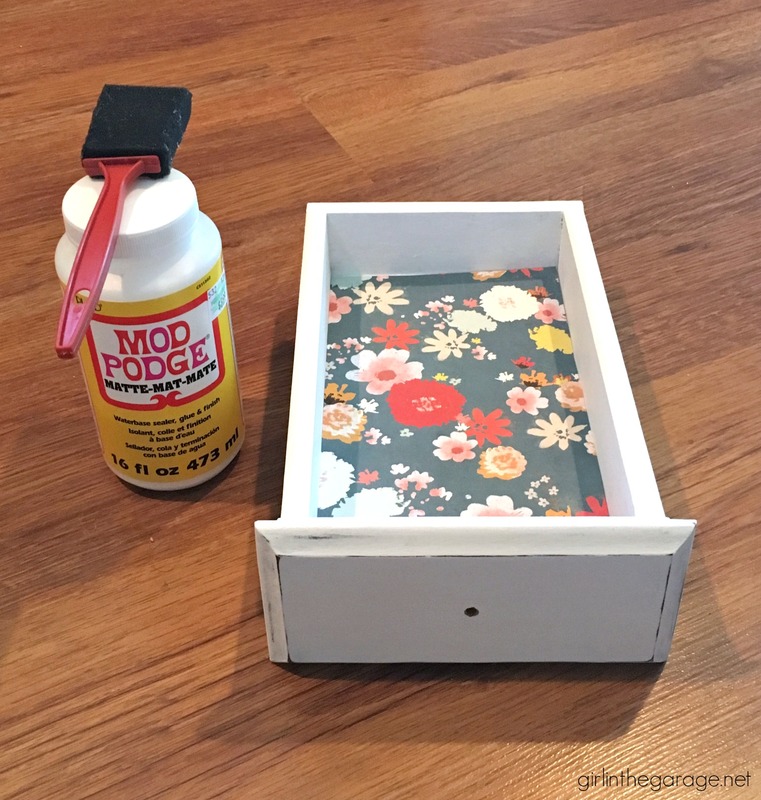 The cherry wood table was primed with two coats of my favorite primer. Then I decided to change the pulls to a single knob, so I filled the original holes with wood filler and marked a new spot in the center. 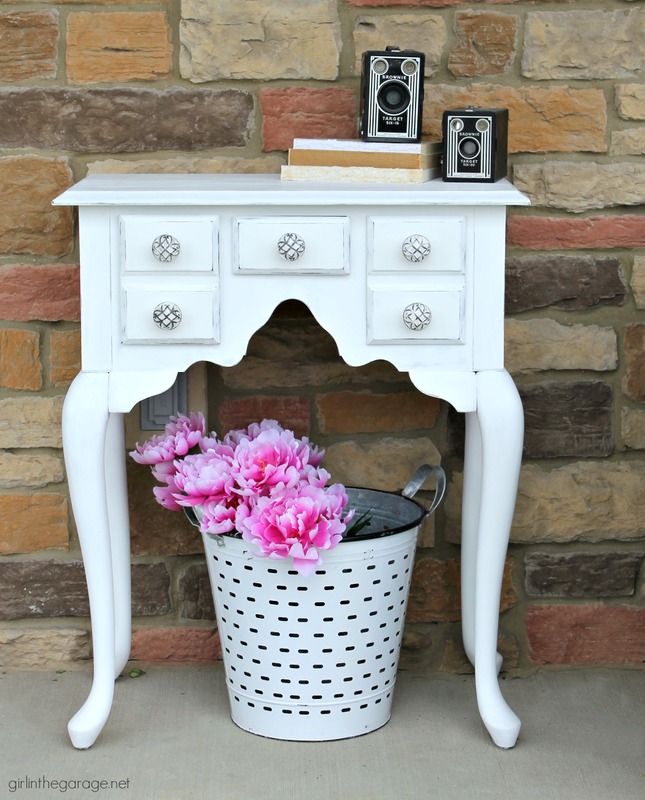 I drilled the new holes, painted two coats of Annie Sloan Chalk Paint in Pure White, and lightly distressed around the edges. 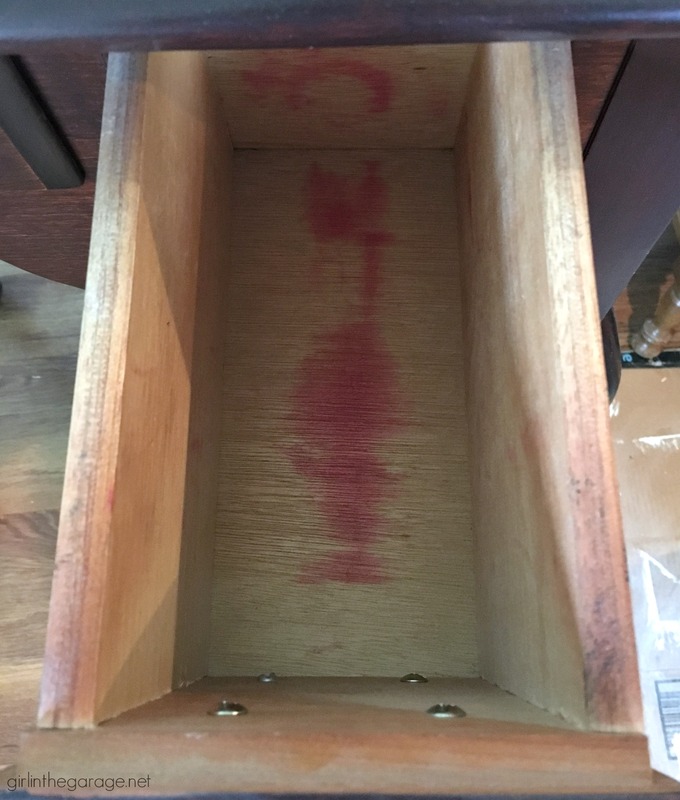 Then I protected it with clear wax and finally tackled the drawer problem. 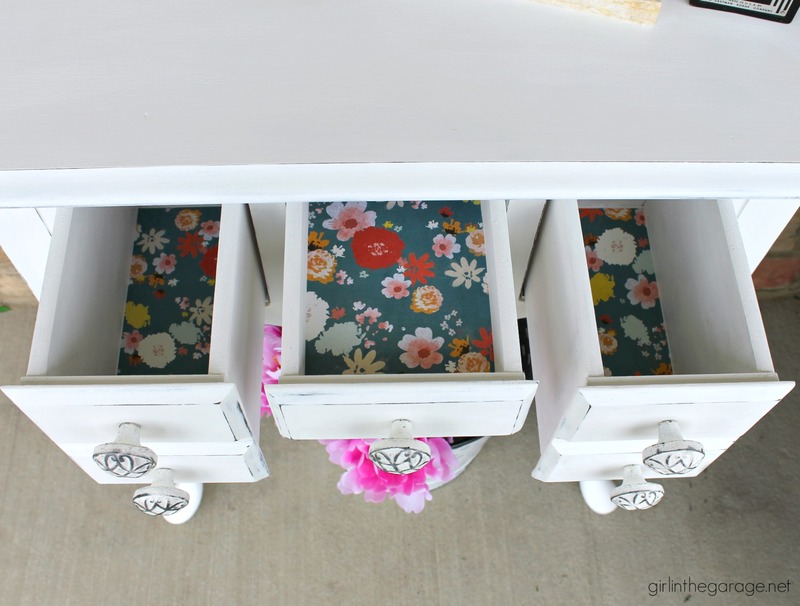 Tip: Use a paper cutter (like mine, Here) for perfectly straight lines on small drawers like these and then matte Mod Podge to glue it down. 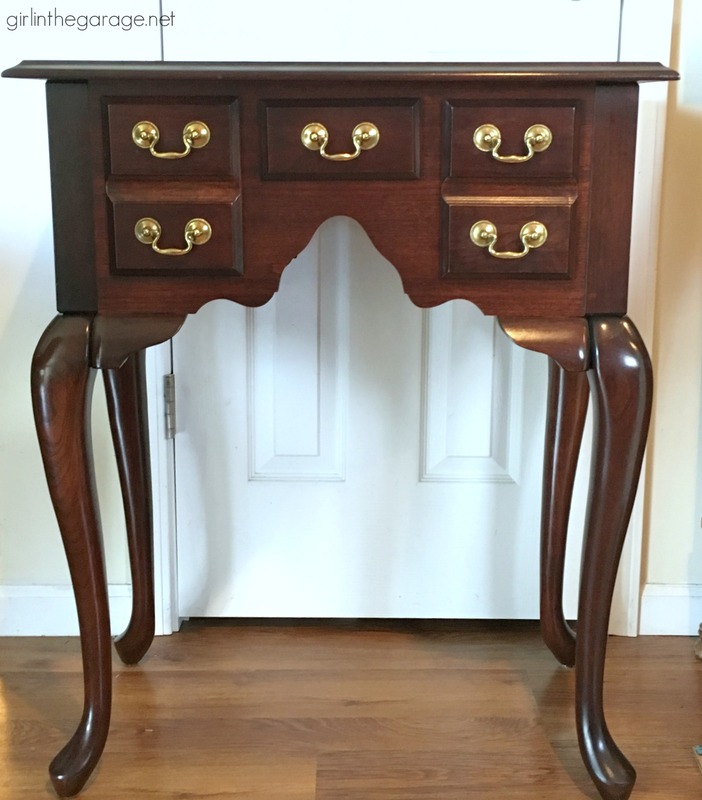 The final touch on this console table makeover was new knobs from Hobby Lobby. 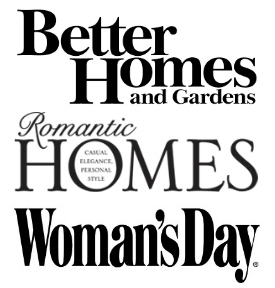 These add a modern, stylish touch. Such a change from how it first looked when I got it! 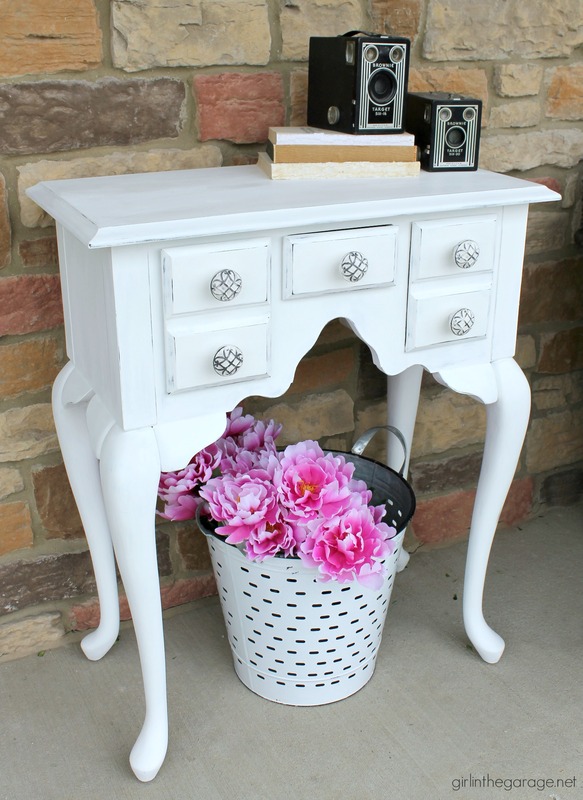 And it’s such a sweet piece for an entry way, hallway, or any little nook where you need some extra table space. 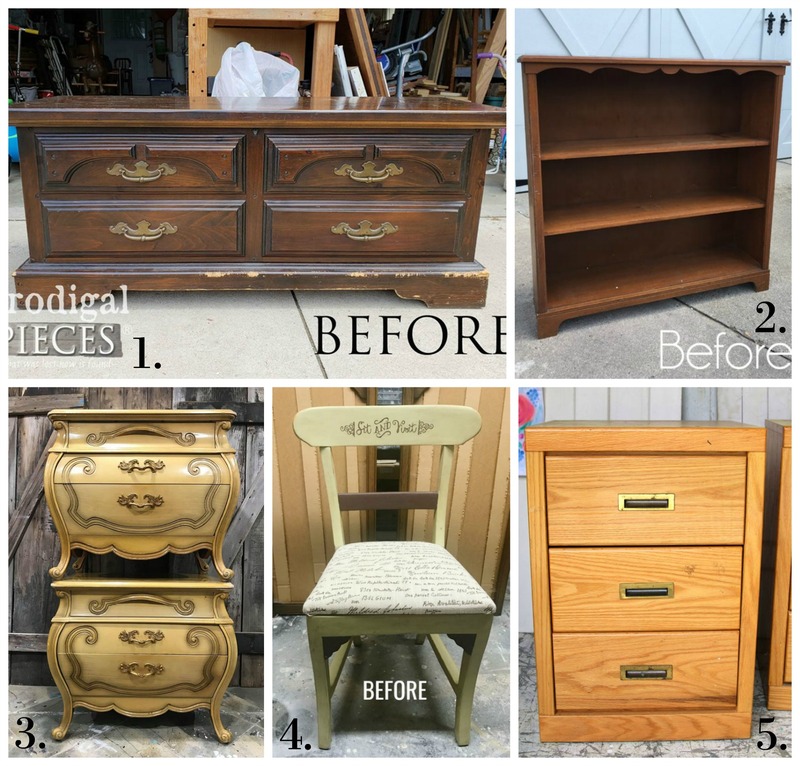 I know many of you are already running (or starting) your own furniture makeover business, and I get a lot of questions about pricing and profit. This table I purchased for about $20, used a little primer, paint, and wax, and already had the paper – so very minimal supply costs. I priced it at $135 and it ended up selling from my booth at 20% discount for a total price of $108. 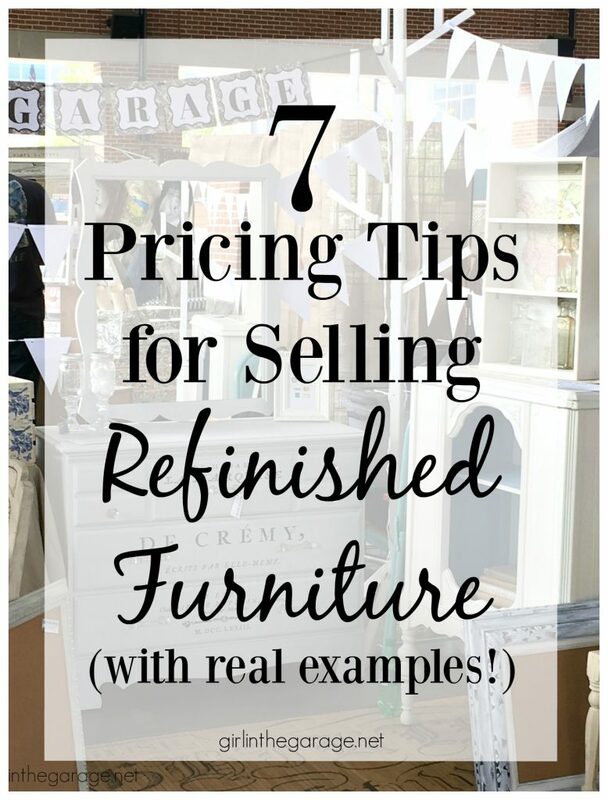 To learn more about pricing refinished furniture for sale with more examples, read This Post. Sweet score and wonderful refreshed new look. So pretty! 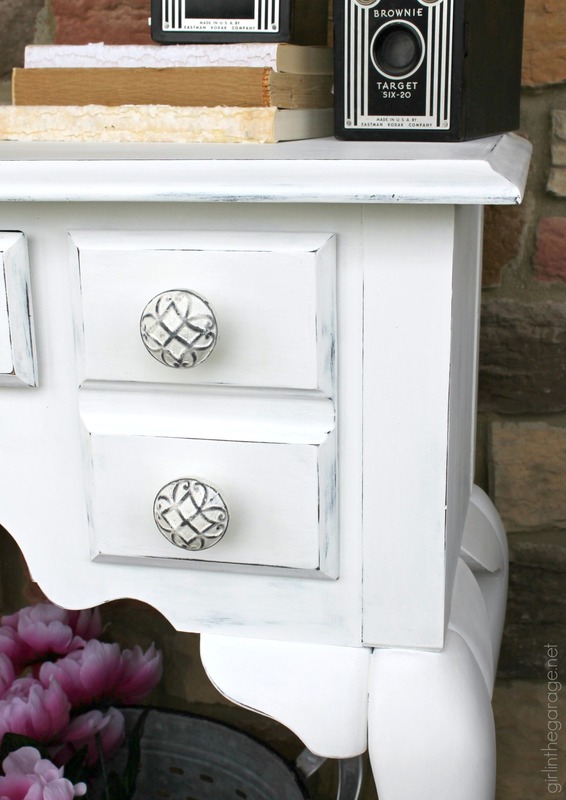 So pretty painted white and I’m swooning over those pretty knobs! Oh how I wish we had Hobby Lobby in Canada ? I need help. I recently got my mom’s Lane cedar chest. I want to restore it not paint it but I have no idea how to start. I have not been able to find someone in our area that has experience with this and I want to be careful with it. Any advice on how to do this? Ooh, ooh, I wanna see you do a cedar chest also! I have my grandmother’s chest that is cherry but needs some TLC, so some ideas would be appreciated! This little table is adorable love the paper. And congrats on the book!!! This doesn’t look like the same table. The white brightens and modernizes it. Did you sand the table before painting it? I know this is for a client, but otherwise how do you decide what color paint to use? Beautiful transformation? Thanks for sharing. Thanks Jerri! I did not sand the table first, since the finish was already smooth and because I used the primer which helps give the paint something to hold onto. 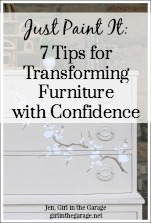 Oops, almost forgot your other question – I tend to do mostly neutral pieces that could work in most people’s homes. I sometimes do blues or otherwise save pops of color for inside drawers. Hope that helps! Very nicely done! I love those little knobs. They add just the perfect touch! So cute, so modernized. It’s nice to see others using ASCP in Pure White. I love it.